Street action during ‘First Contact‘ workshop. 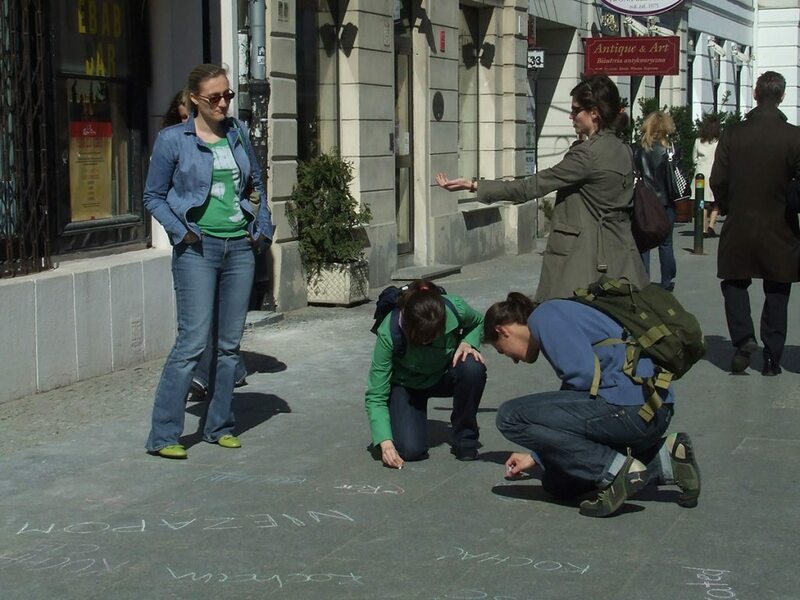 Participants were invited to undertake a 1-euro/5 zloty project, to make a simple (performative) interaction with strangers on the streets. One group created a chalk message board on the street, inviting passer-bys to share their thoughts, or just a single word.